It is 1870, and Paris is in turmoil. As the social and political turbulence of the Franco-Prussian War roils the city, workers starve to death while aristocrats seek refuge in orgies and séances. The Parisians are trapped like rats in their beautiful city but a series of gruesome murders captures their fascination and distracts them from the realities of war. The killer leaves lines from the recently deceased Charles Baudelaire’s controversial anthology Les Fleurs du Mal on each corpse, written in the poet’s exact handwriting. Commissioner Lefevre, a lover of poetry and a veteran of the Algerian war, is on the case, and his investigation is a thrilling, intoxicating journey into the sinister side of human nature, bringing to mind the brooding and tense atmosphere of Patrick Susskind’s Perfume. Did Baudelaire rise from the grave? Did he truly die in the first place? The plot dramatically appears to extend as far as the court of the Emperor Napoleon III. The tormented and dramatic life of Charles Baudelaire, one of the greatest poets of 19th-century France. 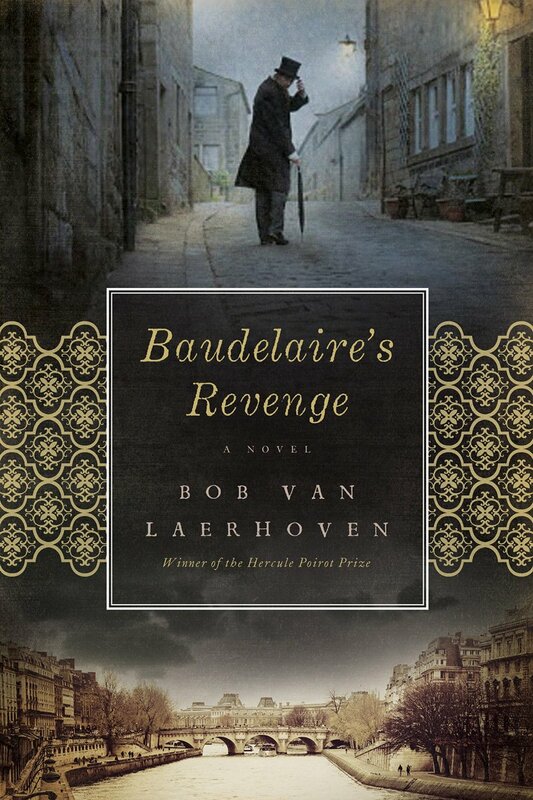 I read Baudelaire’s collection of poems “Les Fleurs du Mal” (The Flowers of Evil) in a Dutch translation – I’m Flemish – when I was 17 and those dark and decadent verses, so beautifully flowing, stayed with me all my life and resulted in the writing of “Baudelaire’s Revenge”. Life and death had taught commissioner Lefèvre to love poetry and wenches, and in spite of his fifty-three years, he still wasn’t certain which of the two he admired the most. To him, poetry was an abstract emotion rooted in the primordial world, before the existence of language. The act of copulation skulked through the human brain like a prehistoric lizard, biting randomly. The commissioner had decided to feed the reptile that evening and was in search of a warm haven. The prospect increased his sensitivity toward the aesthetics of a visit to the brothel. His burly frame, covered with coarse grey hair, had been washed and perfumed, reminiscent of years of abundance, handsomely oiled and gleaming. Lefèvre had trimmed his pubic hair as neatly as his short beard. He was ready to bear the burden of the flesh. Born with sand between his toes.